Birmingham is one of those places which is stuffed with good places to eat. I've only recently had such a realisation, as restaurant after restaurant, and food van, café, and tea room continues to amaze me. 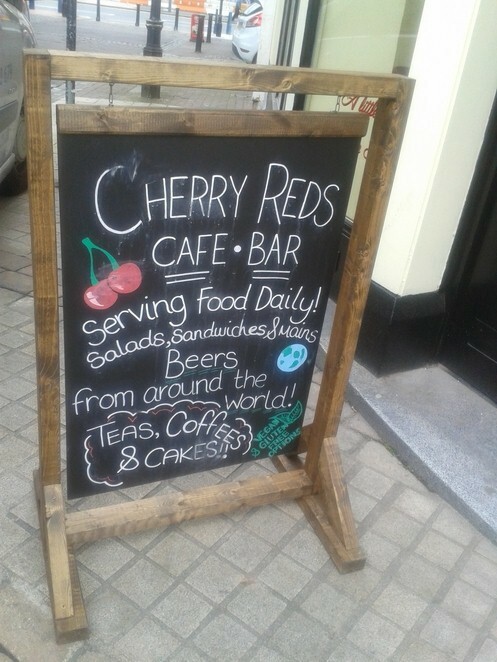 It shouldn't have come as much of a surprise then, that John Bright Street's new addition Cherry Reds café-bar, is a wonder of a place. They've joined the collective of cafés who are slowly but surely becoming the only places to sit and relax with a cuppa of your choice. They have won my taste buds over with a menu of all-vegan cupcakes and some gluten free desserts, too. And that's without even mentioning the mains. The established café in King's Heath has branched out. The flapship caff' only seats about twenty people, but this new little eatery, is altogether more fantastic. Cute and kitsch is right up my street, and with the British weather fast becoming cold and unbearable, I can't think of a nicer place I'd like to lock myself away in. They've only been open three weeks, so don't worry if you think you've missed it. They serve all day breakfast, home-made bread, sandwiches, wraps, soups, and sides. The meat in the sandwiches is sourced locally and they try to use organic ingredients where they can. Unashamedly independent, they claim to be 'about the people', but not in a preachy way. Instead their relaxed happy vibe can be felt in the easy nature of the home grown café. 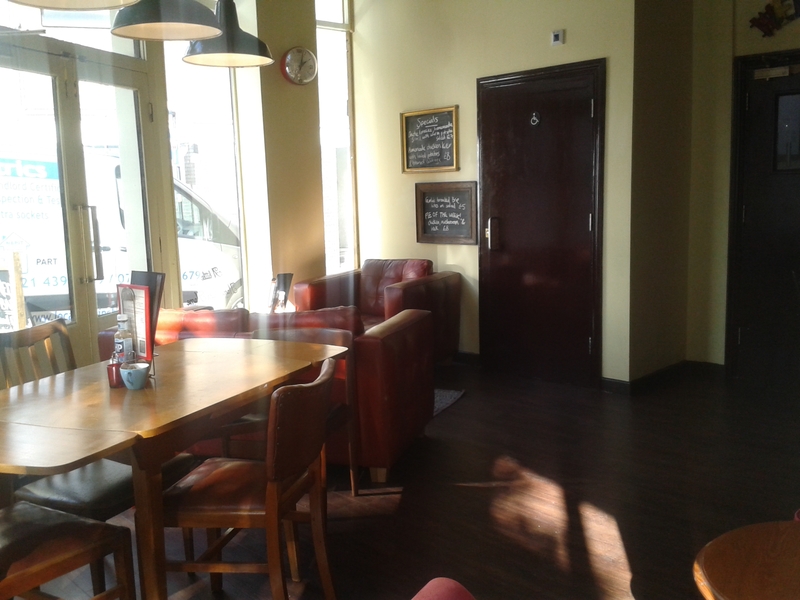 I was excited by the idea of a new place to hang, but it's also an original in a town full of copycats - there's nothing else like it in the city centre. It's vintage without being girly, cool without being boring, and fun without being bright and garish. 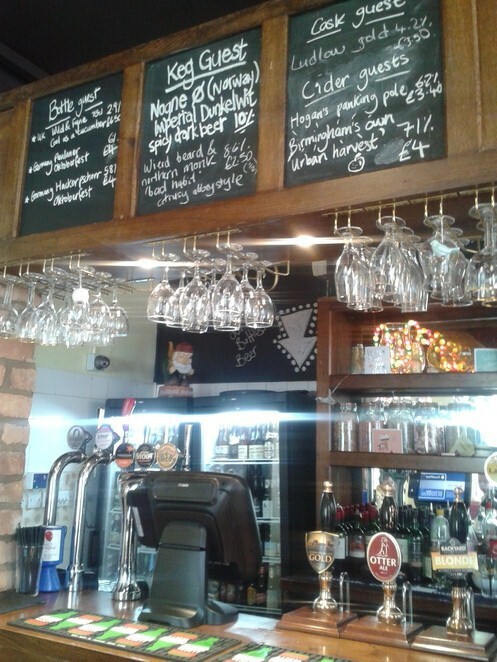 They also boast a fully licensed bar, which is open until midnight, where they serve draught beer. Draught beer is significantly different from non-draught beer (not bottled); it is from the keg, which was traditionally kept in large wooden barrels. In our modern times, steel is much more sanitary. Draught beer is a plus point of the café, especially if you're not keen on bottles or cans. The café thus has a pub-like quality after about 7pm; draught beer is generally preferred to bottle because it is straight from barrel to you, which has arguably had less 'messing' with it. 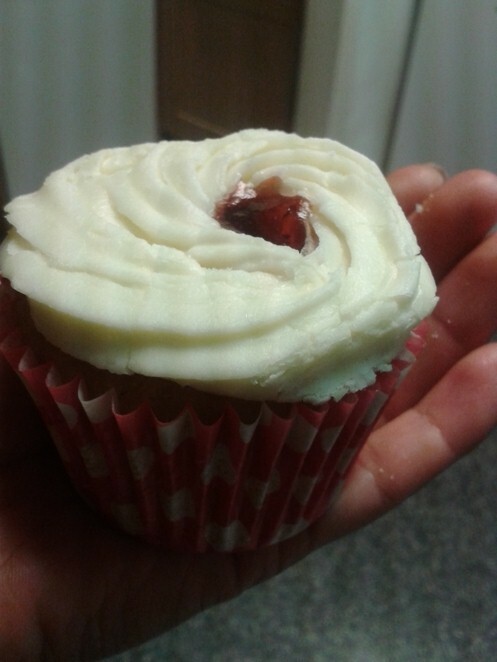 I walked away with a peanut butter and jelly (strawberry jam), cupcake which was topped with vegan frosting. Admittedly the sponge wasn't out of this world, but it had a good rise, and a surprisingly grainy texture. 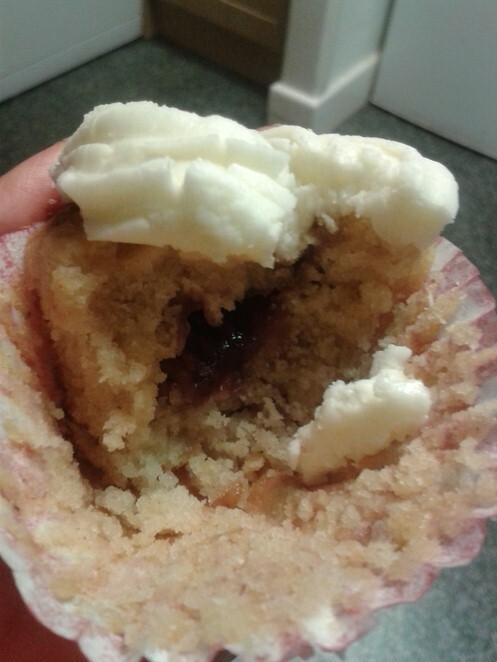 In the middle of the cupcake, and laced through the peanut butter mixture was a heavenly jam. Even the jam was home-made, so it gets a 'thumbs up' from me. The cupcakes are an absolute bargain too. 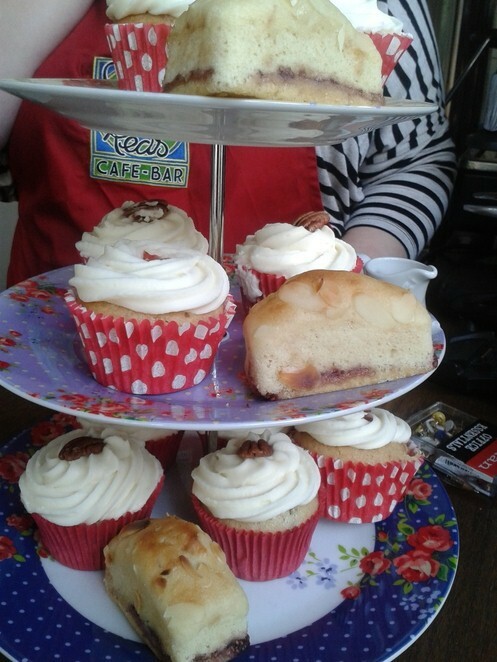 At £1.50 a cupcake, and with gluten free and vegan added to the mixture, they could retail at twice the price. Cherry Reds, however, have kept the prices low because they claim to be an honest company, and from what I've witnessed, they're holding their hands up. Fair and equal trade extends to their coffee too. The team leader - Tamsin - told me that the café owner travels out to Rwanda, selects coffee beans and works out a price with the tribe who harvest the coffee for grinding. Now that's a first. Just because it's fair doesn't mean something is good though, but thankfully Cherry Reds serve a mean coffee, which threatens the current big leaguers in Brum. While the new branch hopes to be a success the general manager told me they would rather share the community of artisan coffee lovers, and independent shop supporters, which is certainly a refreshingly honest approach to trade. 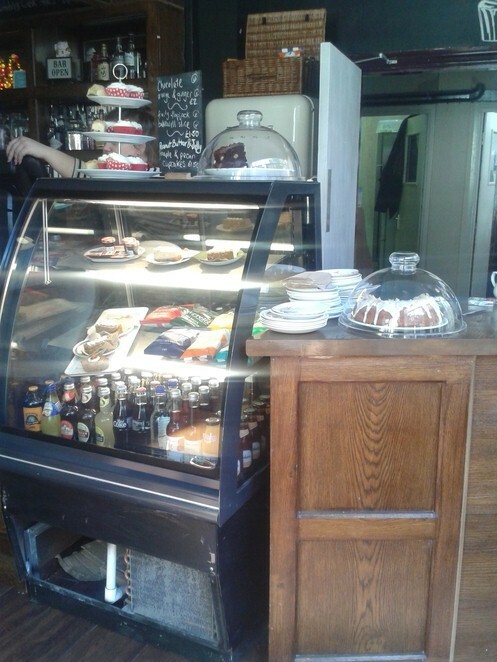 There is a palpable difference in the atmosphere of the shop, which distinguishes it from the standard café. Straight away a sense of calm, but also of being looked after, washed over me, and I wasn't pressured into a purchase. 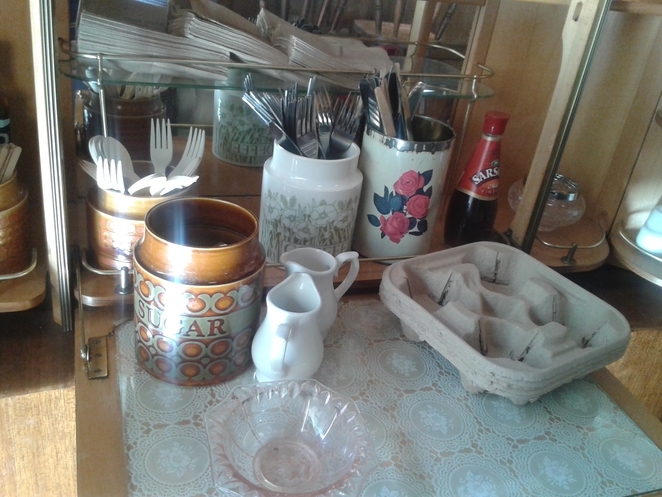 The staff seem to have a faith in customers, which is why they allow for a help yourself to cutlery and condiments. Cherry Reds is potentially my new favourite, call me a café snob, or a café connoisseur because I have sniffed out a dime. Everyone knows the darker the cherry, the sweeter the juice, and Cherry Reds is undoubtedly ripe and ready.